Submitted by camerabob on Sat, 10/22/2011 - 10:45am. POI Info: Local (Long Island area) supermarket chain with 39 stores. This POI also includes the locations of 8 stores that have recently closed. About: Born of Irish immigrant parents in 1884, Michael J. Cullen learned about the grocery business during his early years of employment. At 18 he worked as a clerk for the Atlantic & Pacific (A&P) Co., moving on to general sales manager at Mutual Grocery and Kroger Stores. His natural marketing talents, work experience observations and insight in the grocery business led to his idea for mass merchandising - selling high volume at low profit margins. He wrote a letter to the president of Kroger, describing his ideas that would eventually revolutionize the industry, his letter went unanswered. Undaunted, and confident in his ability to see his idea become a reality, he quit his job and moved his family to Long Island. 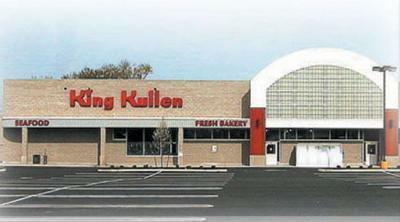 It was there that Cullen leased a vacant garage on Jamaica Avenue in Queens, just a few blocks from a busy shopping district, and on August 4th, 1930 opened the doors to America's first supermarket, King Kullen Grocery Company. Corrected the Selden, Long Island location. Noted a closed Bay Shore location, updated some names. Removed New Hyde Park store that closed due to the opening of the Garden City Park location. The Garden City Park location has opened, according to the web site. No phone number or hours have been posted as of yet.